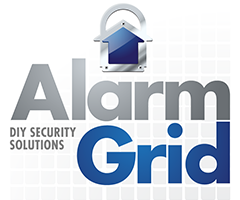 No Contract Alarm Monitoring starting at $10 a month! How Do I Exclude My August Smart Lock Pro? You can exclude your August Smart Lock Pro by accessing the August Home App and putting the lock into its Z-Wave exclusion mode. Then put your Z-Wave controller into its exclusion mode to clear the lock from the network. You will then be able to pair the lock with a new Z-Wave network. When you open the Z-Wave Settings Menu in the August Home App, you should see an option to remove your lock from the Z-Wave network. This is assuming that the lock is currently paired with a Z-Wave network. If it is not paired with a Z-Wave network, you will see options to include the lock instead. If you want to pair your lock with a network, please check this FAQ instead. Please note that this FAQ assumes that you have access to the Z-Wave hub or controller. If you do not have access to the Z-Wave hub or controller, then you will need to perform a Z-Wave factory reset. We will cover more on that process later in the FAQ. You should only perform a Z-Wave factory reset if the hub is inaccessible or inoperable. It's worth mentioning that you can perform a Z-Wave factory reset off-site if you have an August Connect WIFI Bridge. Also note that you will want to be on-site with the lock to complete the exclusion process. This is because most Z-Wave hubs will require you to be on-site to put them into their Z-Wave exclusionary modes. Although you can technically control the August Smart Pro Lock remotely through the use of the August Connect WIFI Bridge, it will do no good if you can't put your Z-Wave controller into its exclusion mode. There are a few things to keep in mind if you are performing an exclusion while on-site. You should have Bluetooth enabled on your Android or iOS device. This device should be in close proximity with the lock. Remember, Bluetooth signals do not travel very far. Additionally, the lock should be in close proximity with the Z-Wave controller during the exclusion process. 1. Prepare the app. Open the August Home App on your Android or iOS device. Make sure you have Bluetooth enabled for this device and that it is in close proximity with the lock. Choose Lock Settings. Then select Z-Wave Settings. The following screen should display a message that reads, "Your lock is connected to a Z-Wave hub." Press the Remove Z-Wave Device button at the bottom of the screen. The following screen will have a message that reads, "Please put your Z-Wave hub in Exclusion Mode before continuing." If you have access to your Z-Wave hub, then you should continue to Step 2. You can leave the August Home App on this screen. You will press the blue "My Hub Is In Exclusion Mode" later in Step 3. If you do not have access to your Z-Wave hub, then you will need to perform a Z-Wave factory reset. Press the grey text at the very bottom that reads, "My Hub Is No Longer Working." The app will then take you through the process of performing a Z-Wave reset. Remember, you should only perform a Z-Wave factory reset as a last resort. 2. Enter hub exclusion mode. Put your Z-Wave controller into its Z-Wave exclusion mode. The process for doing this will depend on the device you are using. If you have an alarm system, there may be an automation menu with an option for excluding devices. There may also be a button on the physical Z-Wave controller for including and excluding devices. We recommend checking the manual for your Z-Wave controller for more information. 3. Clear the device. With your Z-Wave hub in its exclusion mode, press the blue "My Hub Is In Exclusion Mode" button on the August Home App. This will tell the lock to send a signal to the Z-Wave hub for exclusion. Remember, the lock may need to be in close proximity with the Z-Wave hub. The Z-Wave hub should recognize this signal and clear the lock from the network. You can then pair the lock with a new Z-Wave network if necessary. Did you find this answer useful?